We are more than 25 individuals (peer mentors) who give our time to meet you when you are newly injured, transitioning into the community or currently living in the community. We are all living with a spinal cord injury or disorder or have a family member affected by this life-altering injury. We work to match you with a peer of similar injury level, age and/or ethnicity. We also meet with your families and loved ones as they, too, are affected. We offer emotional support, guidance and hope throughout your rehabilitation process and transition back into the community. We understand what you are going through. We can talk about how to work through the emotions, changes in your relationships and transitioning back into your community. We are also knowledgeable about home modifications, community services, adaptive sports, fund raising, hiring and managing PCA’s, and adaptive driving. We are available to demonstrate activities like wheelchair skills and transfers, or to just talk about life. We can start to visit with you while you are in rehabilitation. If you are at Spaulding Rehabilitation Hospital, where we have a satellite office, you will see us around the SCI unit and in the gym. We may even stop by to visit you in your room or invite you to our weekly support group. We can also visit if you are in another area hospital. Once you are discharged, we will stay in touch during the transition back into the community. You may see us canoeing in Boston Harbor, playing basketball, motorcycle riding, golfing , skiing, studying at school or traveling to work. We are available at any time to talk, meet for coffee, play golf or basketball, or visit you at home or another facility. We offer tips about life’s basics: eating, cooking, hygiene, shopping, doing laundry, getting in and out of a car/van and more. It is our goal to be positive role models as you rebuild your life and follow your dreams. Our peer mentors have been through a training process and are certified as Spaulding Rehabilitation Hospital volunteers. We are fortunate that one of our two offices is located on the Spinal Cord Injury floor at SRH. Our office is staffed 5 days a week. Feel free to stop by, call 617-952-5643 or email us sciboston@aol.com. -In 2008, I sustain my injury while riding and ATV in northern New Hampshire. -I reside in Pepperell Mass. with my wife, son, and daughter. -I’ve been an electrician for over 25 years, and after my accident I decided to pick up where I left off and continued to run my own business after successfully testing for my Master Electrician license. -I exercise in a regular basis, enjoy the independence of driving myself around, and participate in many SCI studies that Spaulding has to offer. -I was injured in September 2013. -Most of my time is spent with family and friends. I work for a company called Gilbane building company as a cost estimator for commercial construction buildings. I studied civil engineering at Merrimack College in North Andover mass. -My wife Sarah and I usually do patient visits together. We usually see couples with similar circumstances as to where I was and talk about relationships as well as adjusting to life after injury. We moved into a new house August 2018. -I was injured in 2005 to an accident. Since that time I have faced many challenges but it maintained a positive attitude. -I am also on the GBC Board of Directors. 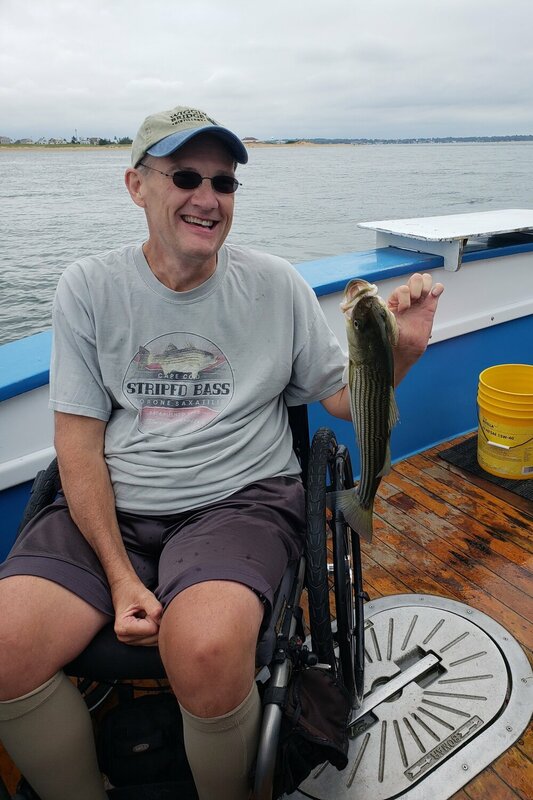 In addition, I’m the Secretary of the Disability Commission and on the board of Affordable Housing Commission in Saugus, President of the Independent living Center of North Shore and keeping, and on the Board of Directors of the listening place (a counseling center) located in Lynn. -I’m also proud to be a mother of four and a grandmother of 10 children. -Injured March 2011 in a bicycle accident. -When I was discharge from Spaulding, I decided to live alone with the assistance of PCA’s. Since my injury I have been working on walking with a walker, and am working to make this a practical part of my life. For now, I use a power chair to get around. -In 2014 I purchase a specialized bike that drives like my Power wheelchair which allows me to get back into the woods again, Which I never thought was possible. -I have a service dog named Oliver that performs all sorts useful tasks for me, allowing me to be more independent. And of course he's a great companion! -Injured in 2010 after Spinal Surgery. -I love keeping in shape with nutrition and exercise. I exercise at least three days a week and have participated in many exercise programs. I’m currently a contributor to my health insurance’s advocacy group. - I also spend time outdoors and explore interesting restaurants and sites around our amazing city of Boston with my family and friends. -Since injured I’ve focused on going back to college, workout out, getting back independence, and spending some time in the office. -Recreational hobbies include hand-cycling, RC drones, sightseeing, and nature strolls. -I am a vent dependent quadriplegic who has been living with spinal cord injury since 1998 as a result of a diving accident at the age of 25. - In 2014 I graduated from Fitchburg State University with a bachelors degree in history. Currently I'm in assistant director of an afterschool program for kids in grades one through twelve. -I have been involved with the peer visitor program for 20+ years. -My injury occurred in May 2007. -I like to wrestle competitively, but I also like to coach kids. I am currently training and competing in hopes of making the US Men's Freestyle Wrestling Olympic Team. -I take singing lessons, enjoy hiking, and playing with my dog. -I am also enrolled in graduate school at Assumption College In Worcester. I am pursuing a Master's Degree in Rehabilitation Counseling in hopes of working with people that have disabilities. I want to work with people with Spinal Cord Injuries in particular. Ever since my injury I have always had the desire to work with others who have had Spinal Cord Injuries. -I like to spend time with my daughter, ride bikes and I enjoy the ExPD indoor rowing program at Spaulding Cambridge for exercise. -I was injured in June 2012 when I was hit by a car as I rode my bicycle. -For nearly 30 years I was the director of college counseling at The Rivers school in Weston, where I also taught math and then Civil War history. -I haven’t lost my love of counseling and continue to use it with family and friends and acquaintances, MOST of the time after having been asked! In fact, using these counseling skills to help others is the main reason I look forward to peer mentoring. -I Live in Natick, have been married for 35 years, And have two children ages 32 and 30. -I love sports, read a ton (though I now “read” audiobooks) (from history and biography to novels and fantasy and even a little Shakespeare! ), and socialize a good deal with friends and family. -I was injured in 2013. -I own my own company called Exeter Environmental with my wife Julie. We primarily clean up oil spills and work with banks and insurance companies on environmental issues. -We had to grown kids; one moves in New York City and the other in Portsmouth New Hampshire. -I enjoy tooling around the woods in my four-wheel-drive chair and playing chess when the weather doesn't cooperate. -In March 2015, I was in a motor vehicle accident and sustained a C5/6 spinal cord injury. -Since then, I have grown into my new normal life. I attend Project Walk in Stratham NH twice a week to work on gaining more strength in my arms, legs and core. -My family is very important to me! Without the support from my parents, John and Pattie, and big brother, Jake, I don’t think I would be the person I am today! Another important person in my life is my goddaughter Emily. We love to go shopping, paint or make crafts, read books together, bake and have sleepovers whenever I can take her! 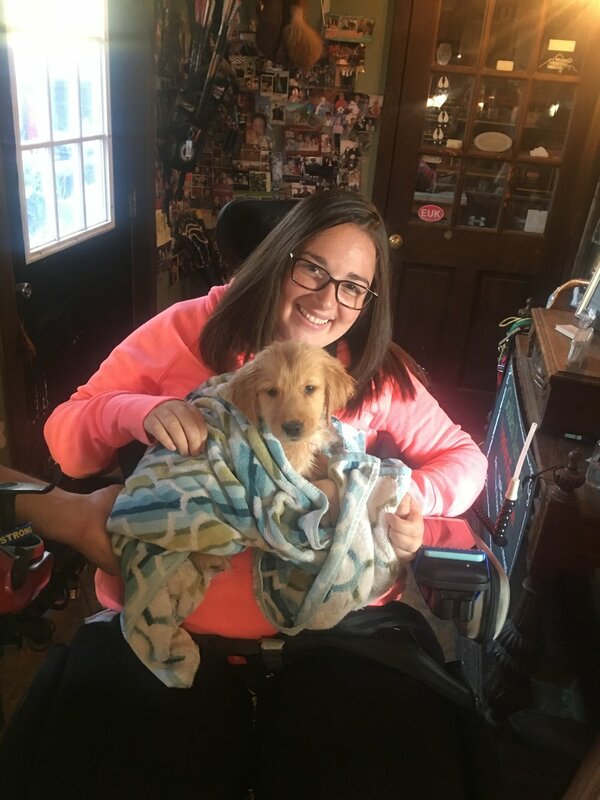 -In May, I adopted the cutest golden retriever puppy who I named after my cousin who has passed. Woodsy keeps me on my toes all day long! Having to take care of him has given me more of my independence back! -I was injured in 2007 and in 2010 I lost my leg. 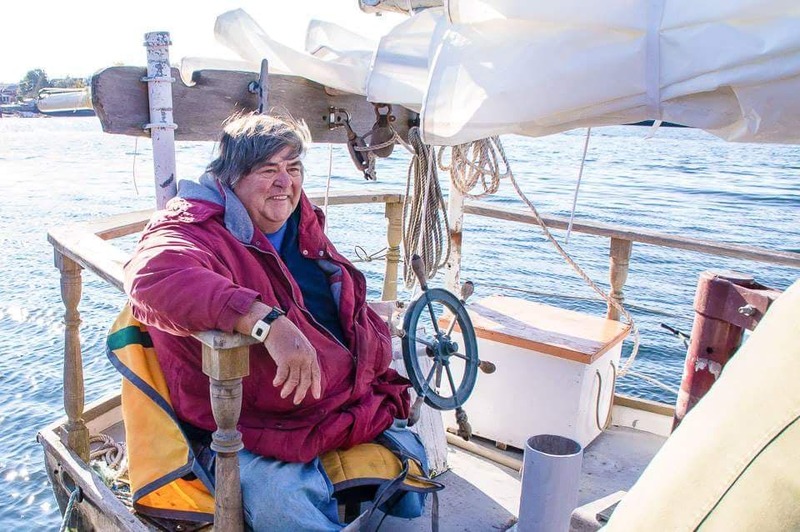 -I own a schooner the I enjoy as often as possible and welcome anyone to come out for a sail. -I enjoy spending time with my boys, spend time outside maintaining my properties, handcycling, woodworking, and going to the gym. -I work 34-ish hours a week for the same commercial construction manager I worked for prior to my injury on the administrative side. We build everything from hospitals to schools to ski lodges. -I was injured in 2000 in a motor vehicle accident with a tractor trailer in Westminster, MA. I was conscience and remember the whole thing. -Prior to my accident I was a paramedic/firefighter with Boxborough FD. I was also the senior instructor for paramedic program at Northeastern University. -I couldn't work after my accident because of secondary health issues. I've volunteered at my daughter's school, worked at the school library a couple of days week, read with kids, started a school newspaper, And ran the PTO for couple of years. I also volunteer at the Shirley voting station. I've been volunteering with the GBC over the years. .-I like to enjoy singing with the church choir and have performed in local musicals, I'm the only wheeler member of a womens curling team and won gold at the Winter Bay State Games, and I have been on many cruises. When I was injured my daughter was three years old and she has grown into a normal, well adjusted young woman. We like to spend time at my summer camp that I own and go fishing on our pontoon boat. -I was injured in 1972 in a car accident when I was a senior in high school. -I went on to college where I earned a BA in History and, the year following my graduation, began my 33 year career in text book publishing. I loved my job and the people I worked with. They were smart and interested in all things new. My being in a wheelchair was only another interesting way to view the world; for them and for me. Through them, I learned that my journey was not mine alone and that it was healthy to be able to lean on others and have them lean on me. -I began working for the GBC five years ago and have learned a lot from the newly injured patients and their families, and I hope they've learned from me. I'd like people to know that we at the GBC are always happy to talk with you about Anything. -I had a truck accident in downtown Boston in 1999. -I enjoy doing all kinds of exercise especially swimming. I am also very involved with golf and getting all those with a spinal cord injury out on the course. -I have been working for the GBC for a couple of years and try to lead by example - showing that anything is possible! I visit patients at SRH and at Braintree Rehab in Braintree, MA. -My hobbies are software development mama firearms clicking, and I am a semi pro video game. I'm also involved officer positions few charity organizations. -I started working with the GBC in 2018 as an Enhanced Peer Mentor. -Returning to my senior year at Northeastern University in a wheelchair, a peer mentor help me get my life back on track. I earned a Bachelors of Science degree in Criminal Justice and returned back to work six months after my accident. I went on to earn a J.D. from Northeastern University School of Law. -An athlete prior to SCI, I began wheelchair racing. From 1997-2000, I completed eleven marathons in the wheelchair division. -I have been a certified peer mentor since 1997 and became the GBC’s Executive Director in October of 2005. I have logged hundreds of hours with newly injured patients and almost as many advocating for their rights. -I sustained a gunshot wound in October of 2006. -I enjoy playing wheelchair sports, swimming, fishing, and traveling. -In 2012, I had a spinal fusion( lumbar and thoracic ) to correct a severe case of scoliosis. Unfortunately mistakes were made and I became paralyzed. -I am married( 37 years ) with three sons and two grandchildren. I was 43 and Vice President of Sales for a large commercial insurance firm when scoliosis and ruptured discs left me disabled. But the silver lining was the opportunity to return to my first love, painting. After college I had trained at the "Atelier School of Classical Realism". Today my work can be found in numerous public and private collections including the Whitehouse, and can be seen on my website at broganjoemurphy.com. While I was in rehab, the peer mentors were my salvation. The support group peers helped me navigate the seemingly insurmountable obstacles with their knowledge and experience. I became a peer mentor to try and give back in kind. -In 1974, I was involved in a motor vehicle accident while riding a motorcycle. -I finished high school and graduated from college with an architectural degree. Employed for 35 years in the Architectural/Engineering field with 10 years as a Technology Manager. -I will be celebrating 25 years of marriage in 2019. -I have participated in many sports including being a certified SCUBA diver. I enjoy doing landscaping and home improvement projects. Can Am Spyder owner since 2011, and President of the US Spyder Ryders – South Shore chapter. -I am on the student advisory committee at my former high school, public speaking for the Weymouth school system and a volunteer for the GBC since 2011. I am available to visit the homes of those with a spinal cord injury. - May 2015 I sustained an L1 burst fracture due to a piano falling on top of me. Current diagnosis is L3 ASIA C paraplegia. - I'm a huge swimmer! But also enjoy skiing, biking, kayaking, and surfing. - I live independently and work a full-time job as a medical device clinical specialist in the hospitals throughout the city of Boston, which means I'm in the OR environment daily. -In 2005 I was diagnosed with spinal cancer at the age of 22. I was diagnosed with Primary intramedullary CNS ganglioneuroblastoma (GNB) the only one to have it, the only one to beat it, the only one living with it through the length of the spinal cord. -I have been living independently in Lynn, Massachusetts. I'm also the father to my 10 year old daughter Arianna. -I played varsity basketball in high school, soccer, baseball, and swam. I'm still an avid sports fan. I frequently attend sporting events such as Boston Celtics games. -I'm currently in a power-chair, but I'm working on walking and standing again. I've been a peer mentor at Spaulding Rehab for the past 6 years. I consider myself an outgoing person, and a motivational speaker. I love meeting and helping people of all ages. I was injured in 2012 from an aggressive epidural abscess. My spinal cord was significantly compressed due to the infection resulting in partial paralysis. -It was not certain if I'd walk again without assistance. After a year of rehab, I was able to walk without assistance. I continue to stretch and work out daily to improve strength and balance. -I have been a peer/mentor since early 2015 and have enjoyed meeting with patients and their families to help them prepare for the future. -In August 2014, only one week after giving birth to my son, I was diagnosed with a severe variant of Guillain Barre Syndrome. It left me completely paralyzed, on a ventilator and in an induced coma for a month. -I now live independently and care for my son. I work as the Chapter Coordinator for the Greater Boston Chapter of United Spinal. - I am re-learning to drive and look forward to having even more independence! Years before I was born, my father was in a traumatic swimming accident near Plum Island, MA. He was pulled underwater by a strong undertow causing him to hit his head on the ocean floor. The impact broke his upper spine, rendering him a quadriplegic. My mother, a strong woman in many aspects, pulled him from the water with the help of my Grandfather, and stayed by his side from that day forward. At the age of five, I began my journey as a caregiver for my father. I learned to be nonjudgmental and the importance of compassion and patience. This instilled many skills and life lessons others my age had never encountered. When I was 14, my father was diagnosed with cancer, which quickly took his life. In his honor, I vow to never stop my efforts in supporting the spinal cord injury community. It is my passion, and mission, to advocate while sharing my story as a supportive and positive role model. 7 years ago our son, Ryan DeRoche, was on a work assignment in Spain for a well-known bicycle company. While riding his bicycle home from his workplace to the hotel, he experienced a life changing accident. He hit a rock and fell over the handlebars, directly onto his neck, suffering a Cervical level injury. Unfortunately, what happened to Ryan happens to others, everywhere, every day. We learned quickly about how these accidents are definitely a family affair. For the first year or two of Ryan’s accident, we spent our time working our way through a maze of information about Spinal Cord Injuries. Not always knowing who to go to, or which way to turn. I remember that many times we were able to sort out our concerns with other family members on the floor, and with Social Workers and Case Managers, and the experienced staff at Spaulding. But we still felt as though we were traveling down a path where no one else had traveled. Many of our answers came from talking with people who had gone down the same “path”. By connecting and sharing with peers, we were able to compare, share, vent and come to our own solutions. Ryan had his accident 7 years ago and although each situation is unique, we now feel as though we have conquered the huge obstacle of not knowing; we have made it to the other side of “what to do next”. Knowing this, we now want to be available for families, as advocates, to help them find their own answers, and most importantly be a listening ear. If we can help even just one person by making their life, at this very sensitive time, a little easier, then we will be successful as family advocates and mentors. Beth spent the majority of her career working for major medical product manufacturers. She has extensive experience in the areas of sales, management and navigating the healthcare system. In December 2007, her brother-in-law fell and became a C4-5 quadriplegic. From the first hour, she traveled the road with him, her sister and their two daughters. Beth started as a volunteer for the GBC in late 2011 and served as the Executive Director from 2013-2018. She initiated our Enhanced Peer Mentor Program. 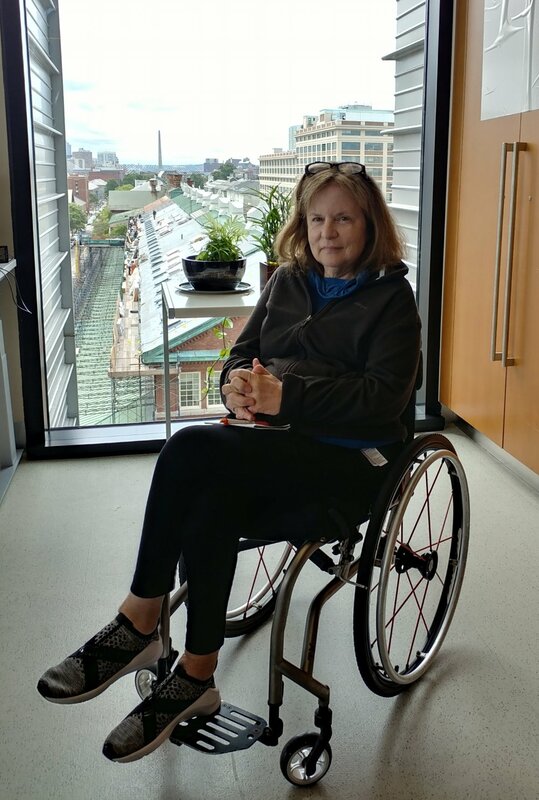 She continues as a volunteer peer mentor with a focus on the transition home and family members affected by a spinal cord injury. She enjoys all activities related to the outdoors: kayaking, swimming, hiking, biking and snow shoeing are a few.